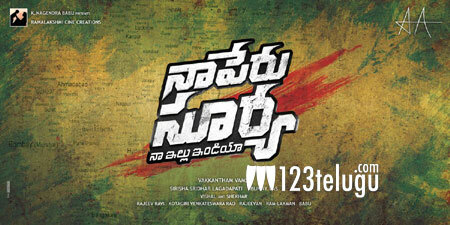 Stylish star Allu Arjun’s forthcoming flick, Na Peru Suriya’s shoot is going on at a brisk pace. Recently, the film has wrapped up its major schedule in Ooty. Now, the latest update is that the new schedule of this film will kick-start from tomorrow in Goa. Touted as a social drama, this film has Anu Emmanuel as the female lead. Directed by Vakkantham Vamsi, Lagadapati Sridhar and Naga Babu are producing the film. Bollywood duo Vishal and Shekhar are composing the music. NPS is scheduled to hit the screens on April 27, 2018, simultaneous in both Telugu and Malayalam.